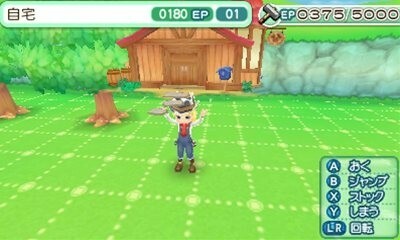 In general, the gameplay is not very different than usual with Harvest Moon games. You’re a farmer, you take care of your farm, you have animals and/or crops, etc. 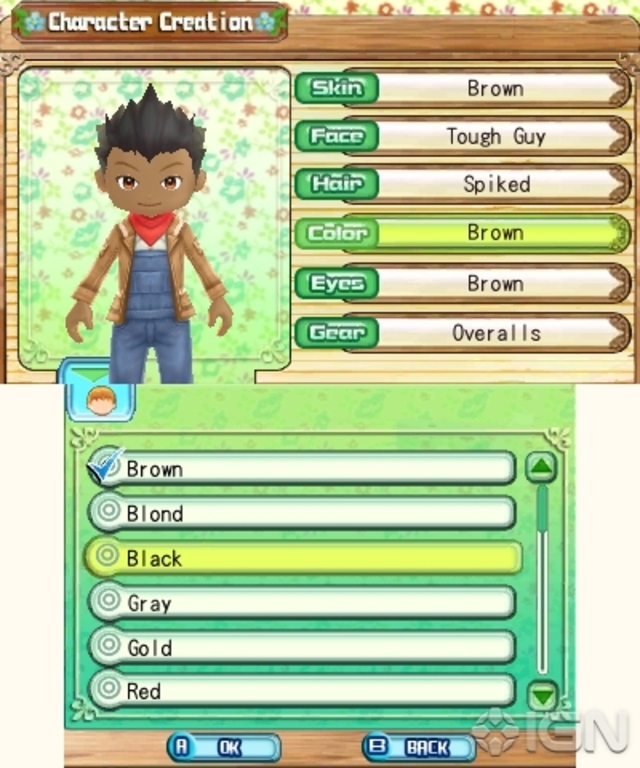 With the long tutorial at the beginning of the game, even if you’re not too familiar with Harvest Moon, you could easily learn enough. If you are familiar though, while some of the tutorials can be quite interesting, you will find yourself tired of them very quickly. Regardless, the game really pushes on trying to make you play for a long time, between the slow start and having to build nearly everything important to your journey as a carpenter farmer. I would say the biggest downside is due to the fact that you make everything (including decorations and various things needed for Town Plans), you also need to gather everything up and a lot of the things you need may surprise you. Some examples are weeds (I bet you never expected them to have a use), honey combs (which only appear in Spring and Fall so if you sold them all when you get your town plans in the Summer, you are already stuck waiting a month), and small branches (do not chop them all into lumber right off the bat. Chop as needed). While some people would look at this as a “Well, at least this gives me more reasons to play longer”, this also has the opposite effect on others who may get frustrated that they already screwed up. Some other big changes in the game include time moving EVERYWHERE (so be sure to use that pause button), the new stamina system (The less hearts you have, the more energy that gets used up), and the fact that the better upgraded tools are time savers and not stamina savers. If you have the highest grade watering can, you may save time, but you will use more stamina overall than if you used a lower grade version. There are two cool new additions though. 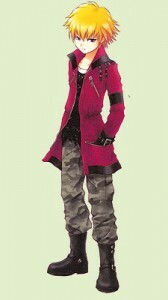 The first is the customization. 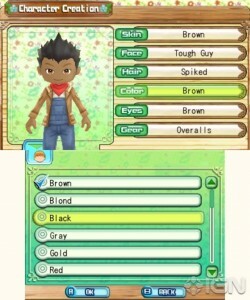 You are able to customize your skin color, eye style, eye color, hair style, hair color, and change your outfit. You only have a choice of one of two outfits at the beginning though (You can get more from the Tailor Shop once you build it). All hairstyles and outfits are also unisex (though, you have different choices at the start) so you could essentially make a gay or lesbian character by making a male/female and dressing them up in the opposite clothes/hair styles. Besides your character, you can also customize the inside of your house (Flooring, Wallpaper, and Furniture theme) and your actual farm with various decorations. However, you can only have up to 5,000 EP (Edit Points) per farm area. 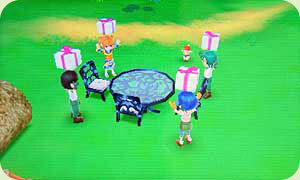 The village has up to 9,999 per area, which besides deciding where to place houses, you can also decorate. The other is the Wi-fi in the game. On the 27th of Spring, you will unlock Multiplayer which allows you to go online and do a gift exchange with up to 3 random people (or on your friend’s list if you do friends). You can also use the local option if playing with a friend nearby :). You can give almost anything, though, I’d recommend being nice. While there are people who are jerks giving out things like Barn Dirt and Soil, there are actually a lot of nice people too. 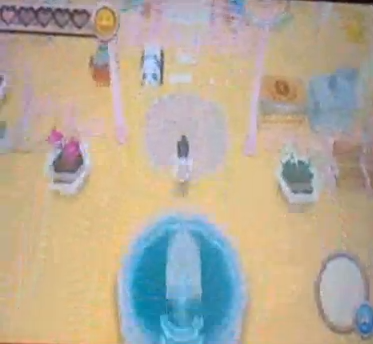 Some things I’ve gotten online are a giant 5 star Strawberry, a 5 Star Mango, a Silkie Egg, and a Luxurious Fountain. Once you finish with the gift exchange, you can actually go around and brush, milk, and shear up to 20 Animals (Each person, yourself included obviously, can bring up to 5 animals). If you don’t have the shear, it’s okay, but at least brush people’s animals as a thank you :). Bringing an animal on Wi-Fi can help it grow hearts faster. The one thing with Wifi is obviously, you can get a lot of money from milking and shearing people’s animals. For example, a “super-sized” animal gives you 5 of the product you get from them. Similarly, you may occasionally see a giant version of an animal. These can be milked/sheared (depending on what they are) 5 times and you will always get the highest grade version they can give (so if you see a giant cow, you’d get five 5-Star Great Milks). However, due to the mass amount of money you can get from going online, some people actually view it as cheating so use it as you choose. Personally, I do not agree with it because other than buying the actual blueprints, animals, and seeds, most things require items. While you can buy Stone Material and Lumber, you can’t buy the other types of Stone or Wood, nor any of the other items you need. Clothing needs various cloth and wool plus money (and very little money in comparison to the amount of items), changing your hair is one of the few things that costs just money, but there is even a shop you will earn in Year 2 that ONLY does trades for high star-ranked items. You can’t buy those items. In fact, I have quite a bit of money just sitting here in the game due to the fact that I have nothing to spend it on. Even without Wi-fi, earning money really isn’t too bad in this game–especially considering how little it’s used in the first place. The main thing you will use a lot of money for later on are trips at the Travel Agency. Each spot has their own kind of exclusives and you even can go with your spouse and child. There are four different places and it is random what you will find when you visit each to some degree, but like most things in the game, time management plays a huge part due to the fact that it takes 1 hour to 5 hours to arrive somewhere depending on where you are going and the return time varies. This is especially cruel with Ancient Ruins which has the longest travel time (5 hours), but earliest return time (8PM). There are combinations you can make with decorations though to cut the travel time in half–unfortunately, they do take quite a bit of space and may make you change your own plans. As usual, a relative (this time, your father) has given you their farm and an old friend of theirs is going to show it to you and give you it and you need to bring life back to the town. 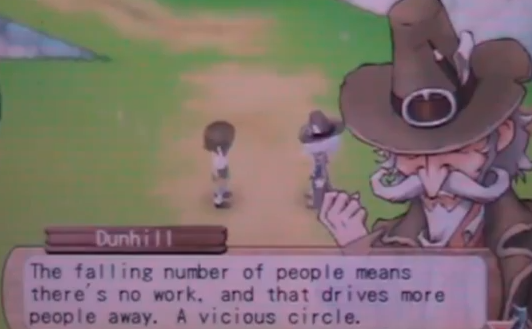 …except this time, the town is actually nearly completely empty. 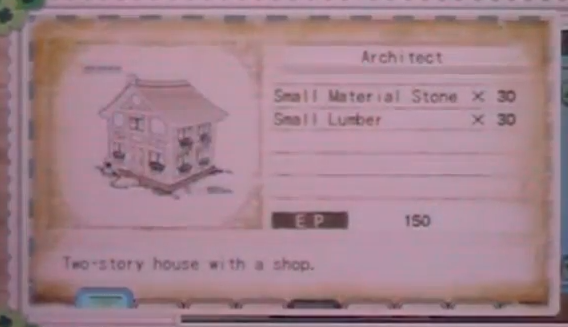 As mentioned, you start with 4 houses. Two which are shops (the blacksmith that moves in does not actually sell or upgrade your tools. 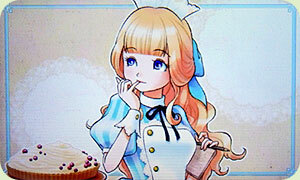 You need to befriend her to get the blueprints to upgrade the tools yourself). You will get a 5th house near the end of Spring. In total, there are 20 houses you can build (2 which are completely optional and only 1 of those 2 is actually a shop) and even ones that may seem optional or may be for stuff you don’t care for, will be needed either for the Renovation Plans or what they unlock (whether it be through friendship or music sheets). About half of them are shops (although, whether you use them all or not is up to you). You will only start with two people to date–one per character gender (The Bachelor moves in on the 9th and the Bachelorette moves in on the 15th). For the other 5 characters per gender, you will need to build their houses or the requirements to get them. Even if you do only want to go after one of the characters you already have, both of them have a heart event that requires one of the other bachelors/bachelorettes to have moved in. 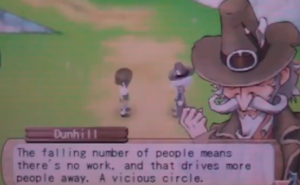 But yes, your job is to revitalize the town so people move back to it while also becoming an awesome farmer and starting a family so in general, not much different than other Harvest Moon games. 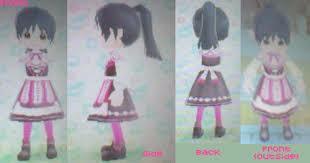 The actual renditions of the characters moving around are very familiar to Harvest Moon 64, although, less Chibi. I would say probably a combination of HM64 and Tree of Tranqulity/Animal Parade is a good way to describe it. 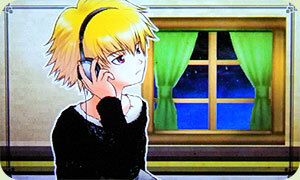 The art style for the sprites when they speak is a very nice drawn style similar to the official art for the game. Also, when you marry a villager, you get a special image of your spouse in the credits. You do not need to play each character to unlock them all, in fact, you don’t even see it again unless you build the House of Memories, an optional blueprint you can get after finishing all the town plans, that will let you look at the special image along with all the other marriage candidates’ images (even the ones for the opposite gender). The only thing I found kind of odd is, well, no hats. The only hats (One for “male” characters and one for “female” characters) are attached to specific hairstyles and this is pretty odd considering hair accessories and hats have been in the games before so it seems like an odd oversight. 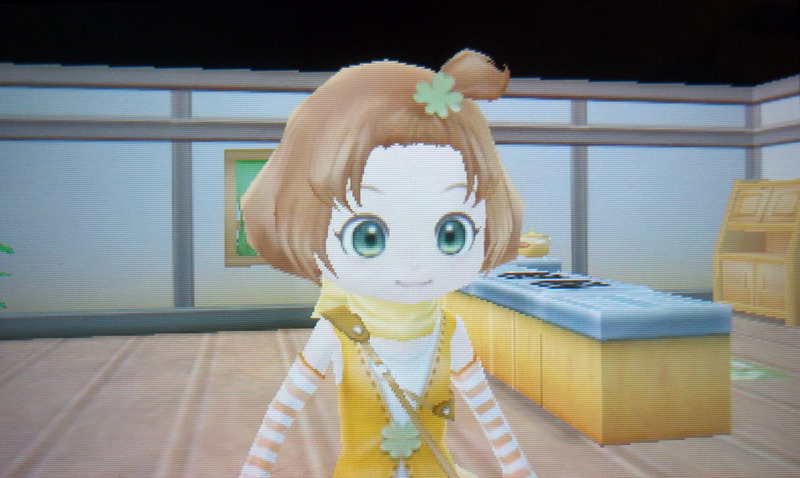 While I never used hats much, a ribbon for my ponytail would’ve been cute. Accessories are also non-existent in this game. Farm Customization is pretty fun. While you may not be able to change how the exterior of your house looks, there’s still a lot you can change around it. Unfortunately, there is a limit of just how much you can put, so even if you’re good at placing things and still having room for more, the limit is there and there is nothing you can do about it. You technically have 3 maps of farm, but with the time restraints, having most of it on the main part is actually really helpful. 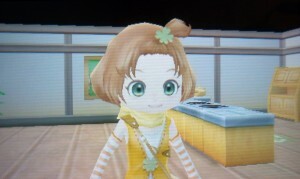 It’s a Harvest Moon game. If you enjoy the Harvest Moon series, there’s no reason not to pick it up. This has been my favorite since Harvest Moon 64 and I really enjoyed it. Regardless, it isn’t perfect and it does have it’s flaws, but I really hope they will continue with the customization. I would say one of the biggest issues with the game is the very long drought period at the beginning. The only thing you will be able to do until the 9th is take care of your crops (you have 4 plots to start with) and forage in the mountains/forest/river areas. You will find making money isn’t too hard right now. One of the biggest things with the time is despite the horribly long tutorial, it doesn’t fully prepare you for what you will be doing once Rebecca, the Blueprint Lady, moves in on the 25th. She will teach you about building various decorations and houses and you’ll notice that some of the requirements to make things are pretty crazy. Not to mention, the Blueprints aren’t cheap (and all your money will more or less go to them). On the 9th, the Animal Dealer returns and you get a cow as a starting gift…so there’s something else for you to do until then. The other big issue is that the time management is kind of another game in itself between everything you need to do. If you want your animals to be producing the best products, you have to use the Animal Sanctuary which takes up the rest of the day. You need to take trips to several places for certain things which also take up the rest of the day (and even though the trip can go beyond 6PM, you can only take one by then). I mean, even the tools do not save you stamina with better versions like past games for the most part–just time, which means you often have to think about if the new tool is better and if the time saving is actually worth the stamina based on how many you have. Thankfully, you can at least make the older tools again at anytime. Besides that, obviously if you want to date someone besides Neil or Iroha, you may have a long wait ahead of you depending on how quick you get through the renovations. 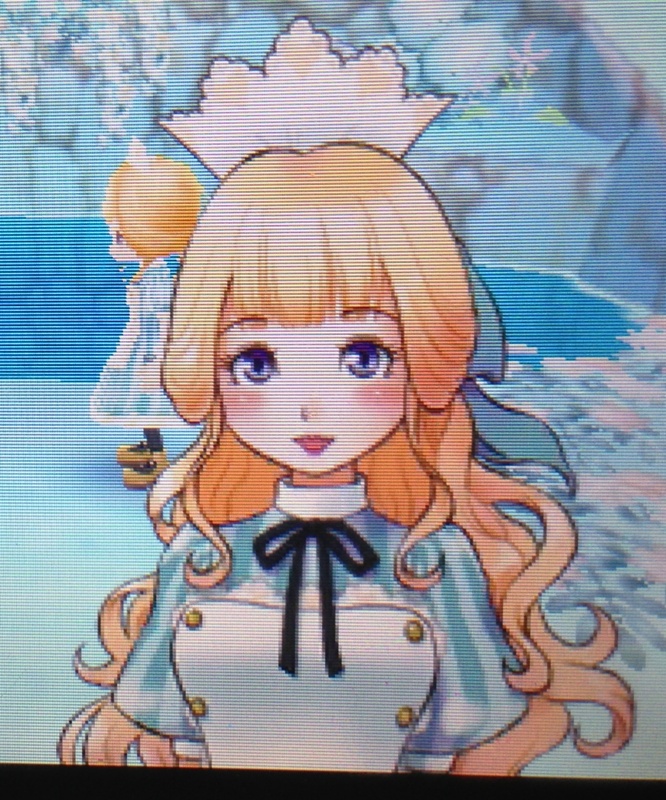 Especially as there is only one bachelorette you can get earlier than when the building needs to be made and that’s Yuri, the Tailor Shop owner. If anything, I would say the game really tests your patience. On the bright side, Winter’s are much more interesting than most other games with items that you can only find in Winter to forage, crops that only grow in Winter, and the ability to take trips to other areas. The customization is also pretty awesome, although, I can’t say enough how much I would’ve liked to have a bigger decoration limit. 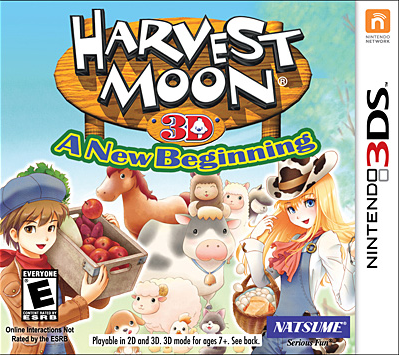 So in short, if you like Harvest Moon, pick up the game. Just try to be patient as once you get over the initial humps, the game can be quite addicting. Image Credits go to the lovely folks over here unless otherwise mentioned.